On the fourth and final stop of the MCC Powering Africa trip, MCC CEO Dana J. Hyde visited with small business owners in Accra, Ghana. This month, I had the privilege of visiting West Africa with MCC CEO Dana J. Hyde. We visited four partner countries where MCC is making major investments in energy infrastructure to reduce energy poverty: Benin, Sierra Leone, Liberia and Ghana. See our trip blog below, and on our Spark page. Today, the team wraps up the fourth and final stop of our West Africa trip in Accra, Ghana’s capital and largest city. MCC’s $498 million Ghana Power Compact supports the Government of Ghana’s goal of increasing energy access and reliability while attracting private-sector investment. It is the largest U.S. Government Power Africa transaction to date, and one that is expected to catalyze billions of dollars in private investment in the power sector. MCC’s Ghana Power Compact is building on a strong foundation — our first compact, completed in 2012, focused on raising farmer incomes through private-sector-led agribusiness development. Now, we’re tackling another key barrier to economic growth and moving the country one step closer to a more competitive and self-sustaining power sector. In Ghana, the supply of power has simply not kept pace with demand. The lack of affordable and reliable power is a real barrier to doing business in the country. At Accra New Town, we talked with caterers, barbers, and print shop owners whose businesses are regularly interrupted by electricity outages. We met with several business across Accra to hear first-hand the impact of “Dumsor” (power outages) on their bottom line. Power outages in Accra New Town in Ghana have hurt businesses like the 5th Avenue Chemist, a pharmacy that Richie, above, and his father, Godfred, have run for 16 years. MCC is tackling this barrier to growth by investing in Ghana's power sector. Richie and his father, Godfred, have been running a pharmacy for 16 years. Due to Dumsor, they are unable to sell life-saving medicine like insulin because they do not have reliable enough electricity to maintain a refrigerator required to store these drugs at the recommended temperature. They also lose business when the power goes out because when neighboring businesses close, fewer customers come in to buy their medicine. In fact, they saw a 90 percent decrease in business during the worst of the power outages. This printing company was started by a young University of Ghana graduate named Delali in September 2006. When the power went out, he had to go to a friend’s office to use his electricity and send emails to his clients. As Del's company grew, his brother Billy joined him. During the Dumsor era, they were forced to purchase a generator to stay in business. When the generator exploded due to overuse, they lost most of their business because they were unable to meet deadlines. And even though they weren't making money, employees still had to be paid. Many small- and medium-sized businesses like these are forced to rely on expensive generators, which means they don’t have funds to invest in growing their business — if they’re able to stay open at all. Private-sector participation alongside targeted infrastructure investments and power sector reforms will help deliver more reliable and affordable power to Ghana’s businesses and households. Abena and her mom, Patience, have been operating a small catering shop for the past 16 years where they bake an assortment of pastries and wedding cakes. Recently, they expanded to include a training center where they have two young female trainees and one employee. Like other businesses in the area, they have had a fair share of problems with Dumsor. One of the fridges stocked with drinks caught fire due to a voltage spike. Had it not been for the intervention of neighbors, the entire store would have burned down, and might have affected other shops. Nii, who owns Nii's Barber Shop in Accra New Town, Ghana, with two other owners, says the lack of reliable power keeps their business from growing. Nii runs a barber shop with two other owners. Unreliable power means he is unable to use the equipment he'd need to offer additional services to grow his business, like a nail dryer and refrigerator. And sometimes he has to turn away customers when the power is off because he needs good lighting to work and his shop gets too hot and uncomfortable for customers without the fan. During our visit, we had a productive meeting with Ghanaian Vice President Kwesi Amissah-Arthur, Minister of Finance and Power Seth Terkper, Deputy Minister of Power John Jinapor, and Minister of Petroleum Armah Buah. We discussed the difficult but necessary reforms the Government has made that opened the door to private investment in the country’s power sector as well as compact implementation plans. We’ve seen some incredible things throughout this four-country trip and met some amazing, inspiring people across Benin, Sierra Leone, Liberia, and now here in Ghana. MCC is proud to support the growth of the power sector across the region and promote economic growth and poverty reduction that transforms the lives of millions of people for years to come. Thanks for joining us on this incredible journey. On the third stop of the MCC Powering Africa trip, MCC CEO Dana J. Hyde visited the Mt. Coffee Hydropower Dam in Liberia. MCC is working with other donors to rehabilitate and upgrade the Mt. Coffee hydropower dam to provide 88 MW of power to the Liberia grid. As we wrap up our time in Liberia, our visit to the Mt. Coffee Hydropower Plant reminds me just how important strong partnerships are to MCC’s work of reducing poverty through economic growth. As part of our $257 million Liberia Compact, launched early this year, MCC is investing in the rehabilitation of the Mt. Coffee Hydropower Plant, the country’s single largest power source. 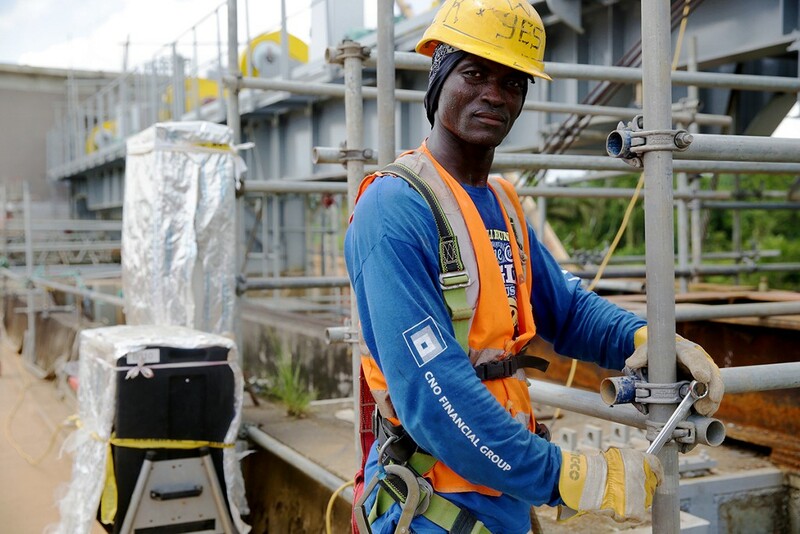 In addition to the Government of Liberia, MCC is funding this project alongside the European Investment Bank, Germany’s KfW Development Bank, and the Government of Norway to aid Liberia’s post-Ebola economic recovery. The overwhelming majority of Liberians do not have access to electricity, and most of the country’s roads are unpaved, making travel difficult during heavy rains that are common here. MCC’s compact with Liberia focuses on addressing the lack of access to reliable and affordable electricity and inadequate road infrastructure. As a result of MCC’s investments, Mt. Coffee is on track to deliver power from the first turbine by the end of the year. Like neighboring Sierra Leone, Liberia experienced the devastation of the Ebola epidemic in 2014 and 2015. The virus killed more than 4,800 people in Liberia and dealt a blow to the country’s economy. Our discussions with local businesses and civil society groups over the last few days have reinforced how vital MCC’s infrastructure investments will be to lifting up Liberia’s people. This was immediately clear when we visited the Port of Monrovia. Over 80 percent of Liberian imports pass through the port, and the high cost of power inhibits the port from expanding its capacity for vital goods. Along with U.S. Ambassador to Liberia Christine Elder, our team had the honor of meeting with Liberian President Ellen Johnson Sirleaf to discuss political and economic developments. She made history by becoming Africa’s first democratically elected female president and is the winner of the Nobel Peace Prize for her work on women’s rights and peacebuilding, both in Liberia and beyond. We look forward to working with the Government of Liberia and all of our great compact partners in the years ahead as we unlock the country’s economic potential and help the people of Liberia lift themselves out of poverty. On the second stop of the MCC Powering Africa trip, MCC CEO Dana J. Hyde toured the Guma Valley Dam in Freetown, Sierra Leone. 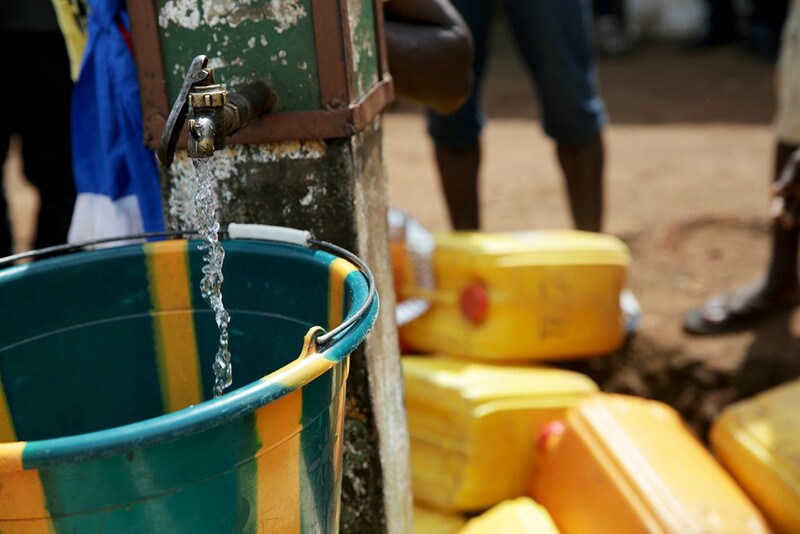 MCC's partnership with Sierra Leone supports government reforms that will lead to more effective delivery of water and electricity services, and it will limit opportunities for corruption. Greetings from Freetown, the capital of Sierra Leone, where the MCC team has been keeping busy! MCC’s $44 million Sierra Leone Threshold Program, signed in November 2015, supports reforms by the Government of Sierra Leone that will lead to more effective delivery of water and electricity services and limit opportunities for corruption as the country works to recover from the Ebola epidemic. By establishing independent regulation, strengthening key institutions, and increasing transparency and accountability in these sectors, our partnership is laying the groundwork for sustainable economic growth. While in Freetown we visited a call center for the recently launched Pay No Bribe program, which gives citizens a means to anonymously report bribery and corruption. One of the operators, Alice, sat down with us to discuss why the center was created and how it is working to reduce corruption in services delivered by the government, including electricity. We also participated in roundtable discussions with electricity and water sector government partners and local businesses to hear about key sector challenges and investment opportunities in the country. Sierra Leone has made significant strides since the country’s brutal civil war ended in 2002, but its positive trajectory was interrupted in 2014 and 2015, with the arrival of Ebola. The virus killed almost 4,000 people in Sierra Leone and dealt a severe blow to the country’s economy. As part of the recovery efforts, MCC’s investments are focused on electricity and water, priorities that align with the Government of Sierra Leone’s Build Back Better plan, to create long term economic growth. To better understand the water delivery challenges, we traveled to Guma Valley Dam, a treatment facility that provides water to the people of Freetown. We also visited a water kiosk at Kissy Dockyards and community-operated water standpipes in Mamba Ridge to better understand how Freetown residents access water. Throughout our visit, we were fortunate to meet with the many people who are working hard to make sure that Sierra Leone not only recovers, but prospers. For example, we met with President of Sierra Leone Ernest Bai Koroma to discuss his recovery priorities and prosperity agenda, and the Minister of Energy, Henry O. Macauley. U.S. Ambassador to Sierra Leone John Hoover also brought together key local actors and representatives from fellow donor institutions to meet the MCC team, including the World Bank, the CDC, and DFID. The people of Sierra Leone are incredibly resilient and inspiring, and I’m excited about all we can accomplish together in the months and years to come. On the first stop of the MCC Powering Africa trip, MCC CEO Dana J. Hyde toured the Vedoko electricity substation in Cotonou, Benin. Mme. 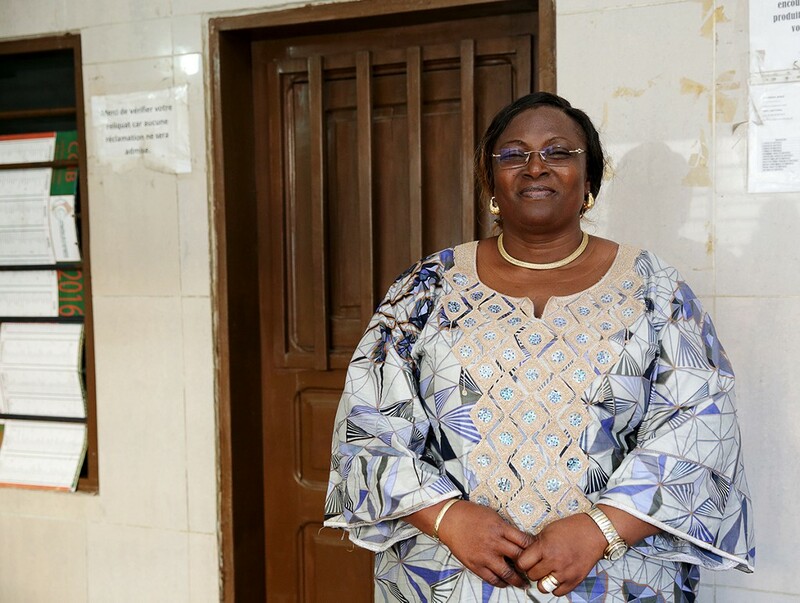 Awahou Codjo is a small business owner in Cotonou, who benefitted from MCC's first compact with Benin. Now she stands to benefit from the $375 million Benin Power Compact. Today, we wrapped up our first tour stop: Benin, a small West African nation that became the first country on the continent to make the transition from a dictatorship to democracy. 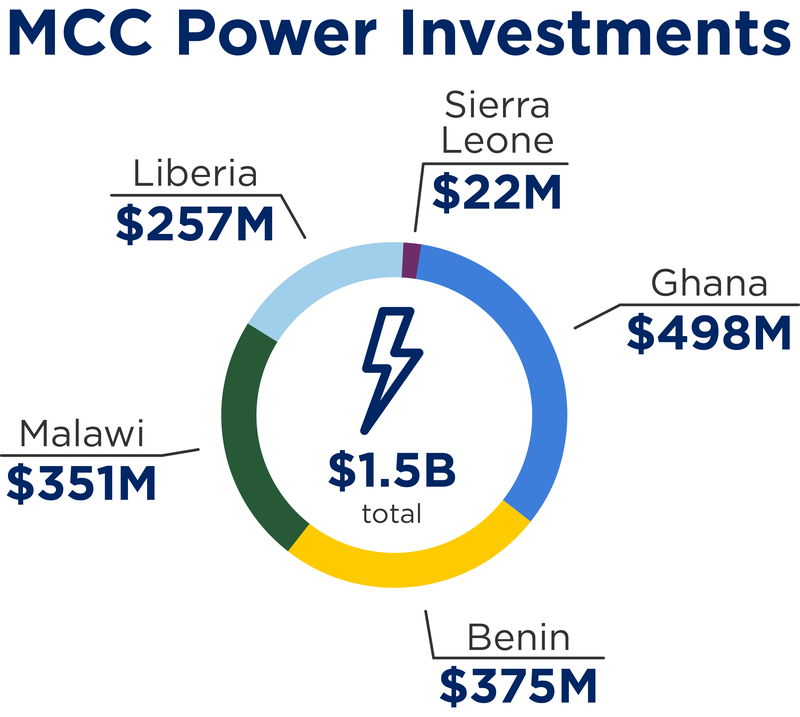 MCC’s $375 million Benin Power Compact represents the largest single U.S. Government overseas investment in off-grid electricity in a single country and MCC’s largest investment in utility-scale solar power generation. In addition to power generation and distribution, the compact addresses wide-ranging policy reforms that are key for greater private-sector participation in this important sector. Only one-third of Benin’s population has access to electricity, and electricity imports account for 80 percent of total consumption. Additionally, demand for power is growing quickly, putting stress on the national electrical grid and creating daily power outages. Without additional power generation, Benin cannot meet the needs of its citizens or businesses, or fully capitalize on its economic potential. The Benin Power Compact builds on the success of MCC’s first $307 million compact with the country, completed in 2011. During our visit, we saw the Port of Cotonou, where MCC’s investment increased port capacity, improved security and enhanced intra-port traffic flow. Our team, along with U.S. Ambassador to Benin Lucy Tamlyn, had productive meetings with President of Benin Patrice Talon and key members of his cabinet in Cotonou, and members of the National Assembly in Porto-Novo, the country’s capital. We also toured an important electricity substation, Vedeko. While it is responsible for providing power to all of Cotonou, the port and the airport, it is forced to rely on imported power from neighborning countries. For me, a highlight was meeting Mme. Awahou Codjo, an entrepreneur and owner of Awa Fish, a small seafood distribution company in Cotonou. As a beneficiary of the Financial Services Project in MCC's first compact, she was able to finance a new commercial freezer, allowing her to expand her business. The Benin Power Compact will have an even bigger impact on her bottom line — a reliable electricity supply means she will no longer have to rely on an expensive generator to keep her fish frozen during power outages. Access to power is crucial for inclusive economic growth, and I look forward to tracking the progress of businesses like Mme. Codjo’s throughout the compact. This 2012 NASA image of the Earth at night captures light from sources like city lights, gas flares and wildfires. Two out of every three people in sub-Saharan Africa don’t have access to electricity, the key to economic growth. That’s why MCC has committed approximately $1.5 billion to improve the quality and reliability of electricity and promote climate-smart measures on the continent. This month, I have the privilege of visiting West Africa with MCC CEO Dana J. Hyde. We are visiting four partner countries where MCC is making major investments in energy infrastructure to reduce energy poverty: Benin, Sierra Leone, Liberia and Ghana. MCC has a strong commitment to Africa — since the agency’s founding in 2004, more than 65 percent of MCC’s total portfolio has been invested in African countries. Nearly 70 percent of this more than $7 billion has gone toward infrastructure such as roads, ports and power. Today, on the International Day for the Eradication of Poverty, we recognize that energy poverty is a significant obstacle to economic growth on the continent. Two out of every three people in sub-Saharan Africa don’t have access to electricity, limiting access to quality health care, education, and economic opportunity for more than 600 million people. 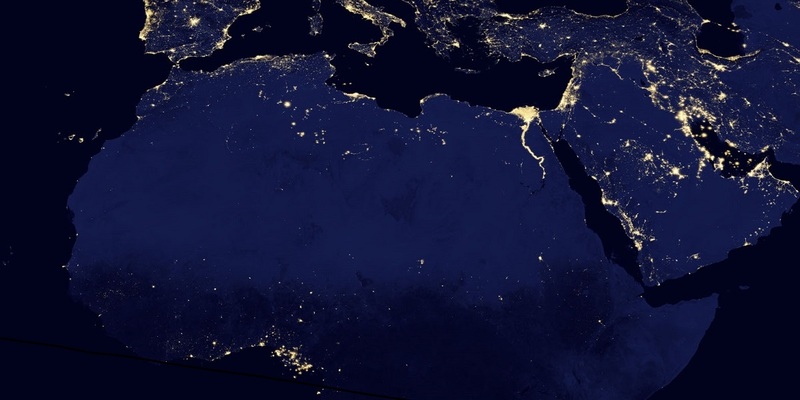 This is why MCC is proud to be a major contributor to the goals of Power Africa — a U.S. government effort to double access to power in sub-Saharan Africa. The agency has committed approximately $1.5 billion in support of the effort through compacts and threshold programs that improve the quality and reliability of electricity and promote climate-smart measures, such as energy efficiency and renewable energy. In each country we’ll visit over the next two weeks, in partnership with the governments, MCC has developed a program to address the unique challenges within the energy sector that are holding back economic growth. Working with our country partners, we’re helping to close gaps in energy-sector policies and regulations, and strengthen sector institutions to create an environment that encourages private investment. During our trip, we’ll get an inside look at the development and implementation of MCC programs, guided by our country-based MCC colleagues and host country counterparts. We will meet with government officials who are helping to move needed policy reforms forward, and we will join roundtable discussions with private sector leaders to hear about the key energy challenges for businesses and investors in West Africa. But what I’m looking forward to the most is talking with the many people who have benefitted from MCC’s investments and those who stand to benefit from our ongoing energy investments. I look forward to sharing their stories over the next two weeks as we visit MCC partner countries to see firsthand how MCC is empowering individuals and energizing communities in Africa. Stay tuned for updates from Benin, Sierra Leone, Liberia and Ghana! Check out more photos, videos and updates from the MCC CEO Africa Tour on our Spark page.